April is Alcohol Awareness Month: Show Your Support for Safe Beverage Service by Obtaining Your TAM Card – TAM Card® Nation in Vegas! April is Alcohol Awareness Month. This is an opportunity to raise awareness about alcohol abuse and encourage people to make healthy, safe life choices. This month is also a time to highlight the role that servers and sellers have in protecting their communities. Good judgment and knowledge of the Techniques of Alcohol Management (TAM)® are crucial qualities in a service professional. 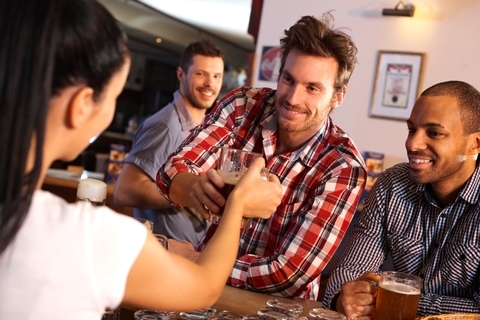 Alcohol Awareness Month is an opportunity for server to showcase their training! TAM® Class and exam proctoring for online students will be available in Mesquite at the Virgin River Hotel Casino on Wednesday, April 16th at 8:00am. Proctoring for online students will be available at 11:15am. This event is repeated the third Wednesday of every month. TAM® Spanish Class will be offered in Las Vegas on Thursday, April 17th at 9:00am. Walk-ins are welcome; please arrive by 8:30am to register for the class. This event is repeated the third Thursday of every month. Exam proctoring for online students will be available in Laughlin at the Laughlin Chamber of Commerce building in the Manpower office on Thursday, April 17th between the hours of 8:30am-12:00pm. This event is repeated every Thursday. The TAM® Office in Las Vegas will be open for regular business hours 8:30am-5:00pm on Friday, April 18th (Good Friday). The office will be closed on Saturday, April 19th for the Easter weekend, and will reopen for regular business hours on Monday, April 21st at 8:30am. The online TAM® course will still be available to access over the holiday weekend.